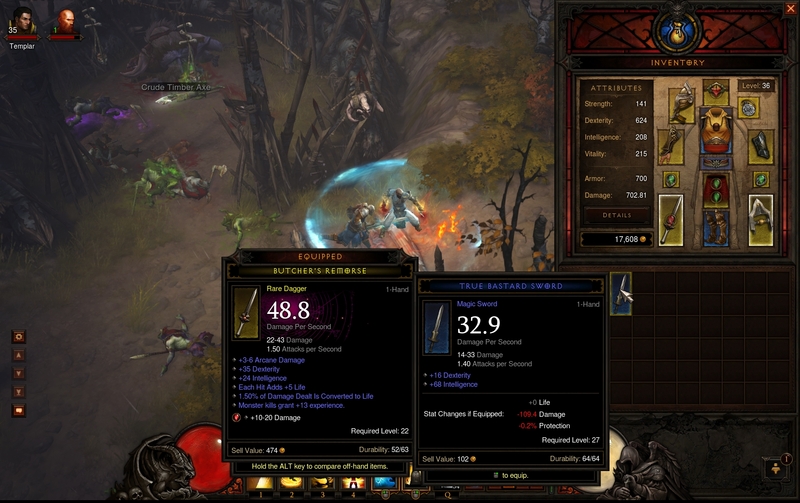 Diablo III: Reaper of Souls: Malthael’s Crazed Fall From Grace. Sometimes the things that happen after a review is penned are far more important than those that came before it. Diablo 3 is a prime example of this as whilst my initial impressions of the game were nothing short of amazement the tale of my experience after that is much more mixed. The challenge progression felt great, for a while, but once I hit Inferno the game shifted from being a conquerable challenge to an exercise in frustration. The auction house, initially a great source to give your character a quick boost, soon became the bane of my existance with all the items I needed far beyond my reach and the amount of griding required to get them far too high. It wasn’t long before I lost interest, alongside many of my long time Diablo fan friends. Blizzard was keenly aware of this however and the release of Diablo 3’s first expansion pack, Reaper of Souls, sets out to correct many of the missteps of its predecessor. With the defeat of Diablo at the top of the crystal arch humanity was once again safe from his terror. However his essence was still captured in the black soulstone, unable to be destroyed even by the angels of heaven. 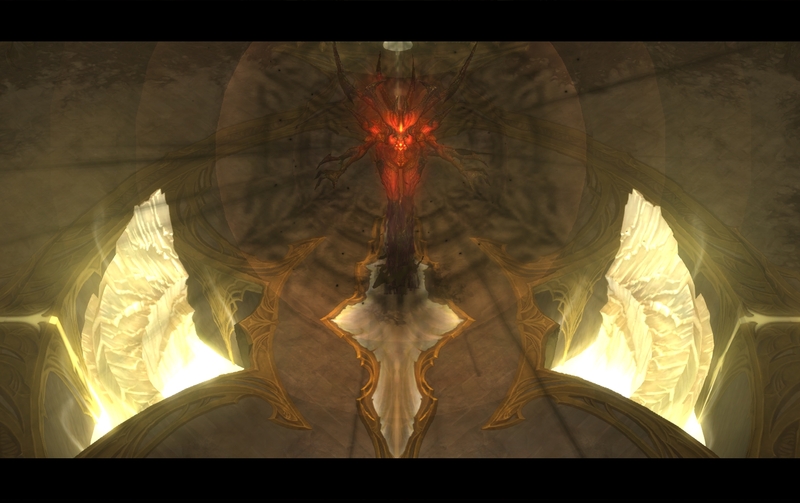 Tyrael, now the mortal Aspect of Wisdom, has once again sought out the Horadrim to secret away the soulstone so that none may attempt to use it for their own purposes. 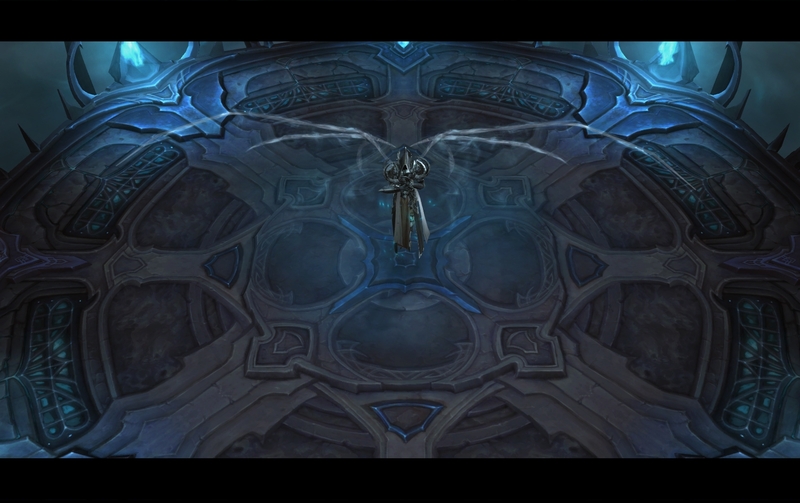 However Malthael, the Archangel of Wisdom who had been lost ever since the destruction of the World Stone, had tracked the soulstone’s location. Whatever his plans are for it are not known but one thing is for sure, you, the Nephalem, are the only one who can stop him. As you’d expect from an expansion pack Reaper of Souls adds a little more graphical flair to Blizzards’ flagship dungeon crawler although it’s nothing major like an overhaul of the graphics engine. The environments do feel like they have a lot more detail in them and the use of lighting and environmental effects is a lot more liberal, especially in the new areas. Still Diablo 3 is a game that’s meant to be fast paced so much of it is designed to run well without stutters or slow downs and with Blizzard’s reputation of being the low poly kings this ensures that the visuals are still on par with other current generation titles. 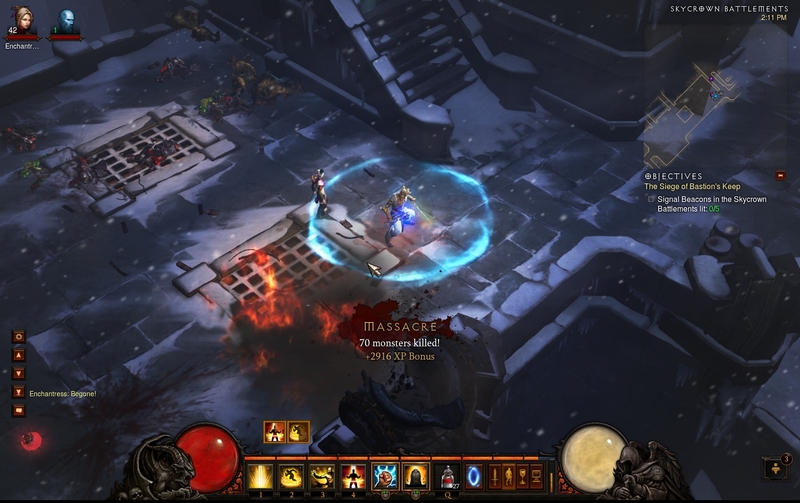 There have been some major changes to the core game play of Diablo 3 in Reaper of Souls, the vast majority of which have been aimed directly at addressing concerns that the community raised. The auction house is gone (both of it’s incarnations), the loot system revamped in a massive update called Loot 2.0 and the end game changed significantly adding in a new mode to replace the previous boss run meta that was the norm since Diablo 2. Additionally all the classes have had significant work done on their skills in order to make more of them viable for both end game loot farming as well as during your initial levelling experience. Suffice to say that whilst Reaper of Souls might only bring an additional act’s worth of content it adds an incredible amount of replayability, enough so that this feels like the game Blizzard should have released 2 years ago. I actually jumped back onto Diablo 3 prior to the release of Reaper of Souls in order to try out the new Loot 2.0 system. Suffice to say I was very impressed as it only took me a couple hours to move from my less-than-stellar auction house purchased Inferno gear to a new set that was much more suited to my playstyle. It also didn’t take long for me to pick up a couple legendaries that completely changed the way my character was built, tempting me to try out builds that would have otherwise been completely unviable. Indeed even without those pieces of gear the various builds I experimented with all felt viable, a highly refreshing change to what I had to do previously. Levels came thick and fast with my monk being able to reach 70 after a few nights worth of play. Indeed the levelling was so fast that I had pretty much reached level 70 before facing Malthael, only requiring a slight detour for the last push. The same can be said for Paragon levels that you’ll continue to amass after you reach max level, especially if you’re doing bounties or rifts often. The extra levels don’t add too much to the classes although the addition of another passive skill slot at max level does open up a lot of opportunities for builds that might not have been viable previously. The new monk skill, epiphany, is quite interesting although my current gear selection isn’t as effective with it as other builds. Whilst this might be disappointing to some (typically the new skills added in tend to be overpowered) I feel it’s a show of good design as the new skill adds variation whilst not being so powerful that its use is required. The new way of running end game content is an obvious attempt to shift the current meta of boss runs for items to a more varied approach, incorporating a number of different types of runs that will result in a certain number of legendaries per hour. The first one is called Adventure Mode and is unlocked after completing the campaign through once. In this mode you’re given a series of bounties, usually things like “Clear out all enemies in the Den of Evil” or “Kill this act boss”, and for each of the ones you complete you’ll receive some XP and gold. Complete all of them within one act and you’ll receive a cache from Tyrael that contains a number of items, gems and health pots. This is in addition to any items that might drop along the way which will usually fill your inventory once for every 2 bounties completed. There’s also Nephalem Rifts which are randomly generated dungeons that require you kill a number of enemies before a boss will spawn and the Infernal Machines which pit you against super versions of act minibosses with a chance to drop legendary crafting materials. The addition of the mystic, along with the minor tweaks to the crafting system, are welcome changes. The mystic allows you to reroll one stat on a piece of gear to another stat, making more pieces of gear viable. The costs of doing so are a little on the extreme side, especially for legendaries which all require a disenchanted legendary, but it can be worth it when you’re trying to min/max your way to victory. The limitation of only rerolling one stat is a little frustrating sometimes as you’ll often come across gear that’s got 2 junk stats on it but is otherwise fine but I can understand why this limitation is put in place. I’d probably complain less if crafting was actually worthwhile as currently the costs seem to heavily outweigh the chances of creating something that you’d use. For the most part all of this adds up to a very enjoyable experience however I’d be lying if I said it didn’t start to feel a little grindy after a certain point. Sure my character is decked out in about half legendaries, some of them quite amazing, but the quest for items that improve my character has become somewhat arduous. I see as many legendaries drop as the next guy but even with my small collection I already have duplicates (quite irritating when you consider you can’t equip 2 of the same legendary weapon) and I’ve yet to see a solid upgrade in the last few days of play. It’s hard to fault Reaper of Souls specifically for this, it’s just the uncaring wrath of the random number generator, but grinding without the guaranteed reward of an upgrade at the end of it does sap a lot of the fun out of the experience. Now that I’ve said that I’ll probably do one run and get 3 upgrades in a row and all will be right in the world. 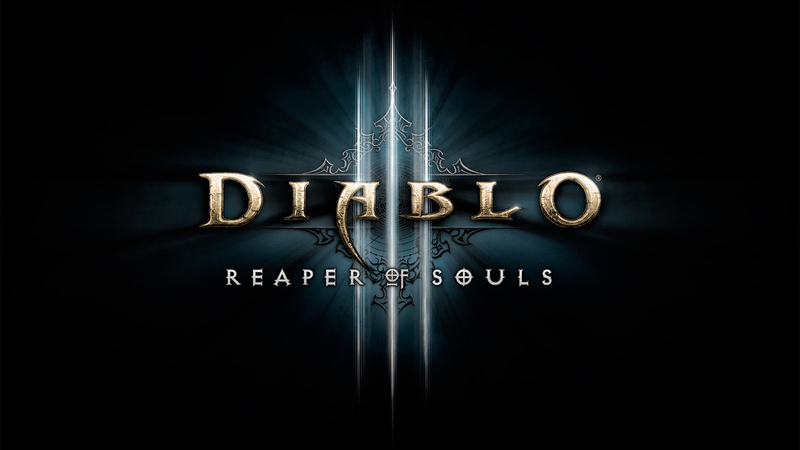 Diablo 3: Reaper of Souls is the game Blizzard should have released 2 years ago as it has managed to capture the enduring attention of so many of my Diablo fan friends where the original failed to do so. The revamps to the talent system, loot and addition of the mystic all add up to make the experience far more enjoyable and rewarding, removing some of the reliance on good rolls to give you the stats you require. Adventure mode is the end game that many were seeking originally, something that provides a bit more flavour to the traditional boss runs of yore. Of course this doesn’t absolve you from the grind completely and, if I’m honest, this will likely be the thing that drives me away from playing Reaper of Souls. Still it’s enough that I feel that Diablo 3 will resurface as one of the LAN games of choice as it’s a lot of fun to blast through a couple bounties or rifts with a close bunch of friends. Diablo III: Reaper of Souls is available on PC right now for $49.95. Total play time was approximately 15 hours reaching Paragon level 56. Diablo 3: Truly A Game For The Fans. 16 years, that’s how long its been since the first release of Diablo yet I can still remember some of the moments with it fondly. I can remember the first time I wandered down to that level and physically leaping out of my seat when the butcher first growled “Aaaahhhhh fresh meat!” when I dared enter his lair. I spent many hours attempting to get further and further into the dungeons and only after pairing up with people I had never met before online was I able to progress further and ultimately defeat Diablo. My time with its sequel released 4 years later was a much more social affair with many LANs dedicated to pushing our characters through the 99 levels that it offered to us. Today I find myself back in that same world again, playing through a world that’s been with me almost all of my gamer life. One that I’ve become very fond of. 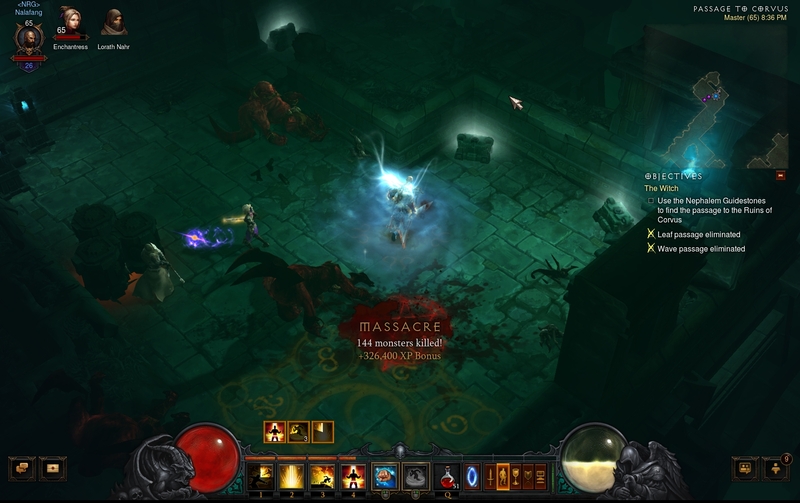 Diablo 3 takes place 20 years after the events of Diablo 2. Deckard Cain and his niece, Leah, are investigating an old prophecy that’s foreboding a great conflict between man and the terrors of hell. During his investigation a star falls from the sky towards Deckard and his niece and destroys much of the cathedral leaving only a hole into which Deckard falls. You, known only as The Nephalem, have come to investigate the falling star and arrive at the town of New Tristram to find it under siege from the undead. So begins your long journey, one that draws many parallels to the past releases. There’s something to be said about Blizzard’s approach to the visual and auditory nature of all of their games. They’re never on the cutting edge of graphics (which I was very thankful for as half of my time with the game was spent on an almost 2 year old MacBook Pro) but they never feel as dated as other games who attempt the same style do. Their heavy use of stylization, clever lighting effects and heavy use of perspective makes the low poly graphics feel like they’re a lot more detailed than they actually are. This also means that in heavy battle situations even those with modest computers won’t be playing through a slideshow, something that has always worked in Blizzard’s favor. Like all their games the accompanying music, foley and cinematic cut scenes help to elevate the Diablo experience further. Blizzard really are no slouch when it comes to making cut scenes that are tear-inducingly beautiful and the ones in Diablo are no exception to this rule. 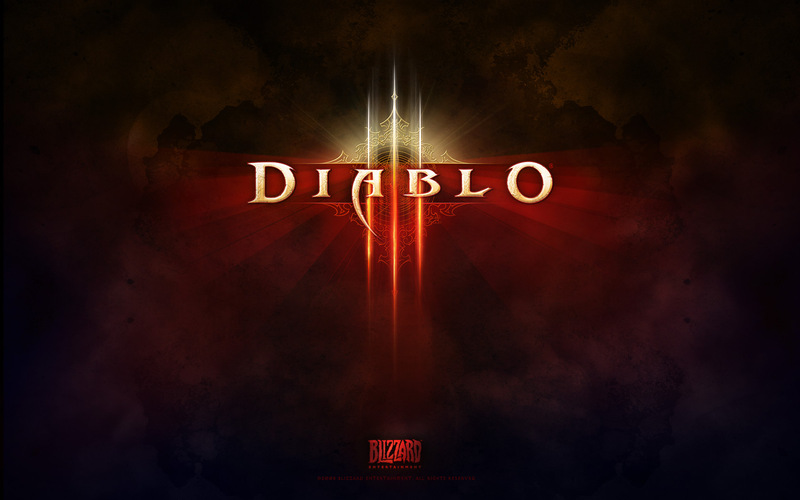 Russell Brower, the man behind nearly all of the music in Blizzard games of the past decade, has done a fantastic job with Diablo 3’s music which aptly sets the mood for the entire game (bar one level, but I’ll get to that later). The voice acting is also done well although I felt the dialogue was a bit of a let down in some parts but that’s no fault of the voice actors. Combat takes wild swings from being a breeze where you feel like an unstoppable killing machine to the disastrous lows where you spend 10 minutes and many deaths trying to beat a single enemy or elite pack. Granted for the vast majority of the game (everything up to Act III/IV hell for me) you probably won’t struggle bar getting a pack/elite with a rather nasty combination. Even then it’s usually a quick change of skills and a repair away from being a walk in the park again. Failing that all you’ll need to do is take a quick trip to the auction house to be able to elevate yourself out of the current rut you’re in, so long as you’ve got the requisite cash of course. 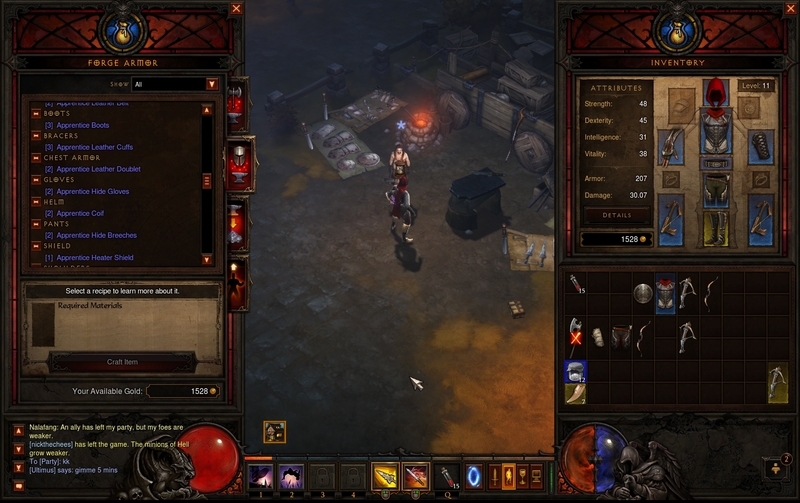 The itemization in Diablo 3 seems to work well in the beginning with upgrades dropping left, right and center. However as you progress through the levels you’ll notice that upgrades start to come further in between, leaving you wondering what the deal is. For the most part its because up until Inferno difficulty most items that drop will be below your level and thus won’t be much of an upgrade. The auction house goes a long way to mitigate this, as does the fact that there are no soulbound items, but that also means you’re somewhat reliant on it should you want to progress at a reasonable rate. Granted this isn’t that bad since semi-decent upgrades can be had for a pittance if you’re willing to search and wait but it is starkly different to the way it was in the previous installments in the Diablo series. The gem system is back but instead of relying on the Horadric cube to do all your combining and upgrading of gems you instead have your very own artisan that can do the upgrades for you (for a fee, of course). To get better gems you have to pay to train him and as you progress further you’ll need to seek out additional items in order to upgrade him and the gems he creates for you. Gems are also infinitely resusable which is a welcome change as now you can spend quite a lot on crafting good gems and not have to ditch them when you get a gear upgrade (or delay that upgrade because of the gems). This also means that the secondary market for gems is somewhat non-existent as all you need is a friend who’s run Inferno once or twice to come into your game and shower you gems they don’t need but are godly to you. The crafting system starts off as being a wonderful alternative gear path allowing you to convert unwanted items into crafting materials that can then be used to craft items. All of the items are random however meaning that there’s a very high chance that you’ll create a piece of equipment that you’ll have no use for (which can then be turned back into mats again, if you so desire). Since the investment cost at the lower levels is, funnily enough, low you can quite easily create multiple items and usually get a hit that’s an upgrade. Additionally you can also train the blacksmith to create items that are a higher level than what you can current use, giving you something to look forward to as you level. I did exactly this all the way up to level 30 or so, and that’s when crafting started to fall apart. The investment cost at higher levels starts to consume all of your available gold should you chose to keep pursuing it. Additionally the material requirements start to ramp up as well meaning that you can craft fewer and fewer items the further you progress. This means that chance starts to play a much bigger factor in whether crafting is worth it or not and in my experience it stats to lose its luster very quickly after level 30 or so. The base idea of the crafting system is sound what it needs is some finessing to make it less prone to rolls of the dice when the investment required for crafting each item is so high. If you’re an action house wunderkid this might not be so much of a problem, but not everyone who plays this game is. The talent system has been streamlined extensively, taking heavy cues from the improvements that had been made in the upcoming World Of Warcraft Mists of Panderia expansion. Instead of the typical talent tree with 3 different play styles segmented neatly by the different tabs they dwell on Diablo 3 instead goes for an ability based system, allowing you to pick and choose the abilities you want to use and then augment them in specific ways. This streamlined approach appears at first glance appears to be a vast simplification of the traditional RPG system, one that had the potential to remove a lot of the diversity from the game. The actual result is far from that with Blizzard reporting that the most common build is only used by approximately 0.7% of players. Even with my extensive amount of play time in this game I’m still finding myself experimenting with different skills to see if they’ll give me an edge in damage or survivability, something that I had only thought would be possible with traditional talent systems. Many of the set pieces feel like they are done either for the fans or in spite of them. Much of the game feels a lot like its predecessor with the progression through levels (town/rural -> desert -> keep -> heaven/hell) being eerily similar. Thankfully the environments feel fresh and distinct from their counterparts in Diablo 2 so it doesn’t feel like they’re just 3D renderings of the former 2D sprite based environments. The rainbow unicorn level (I.E. 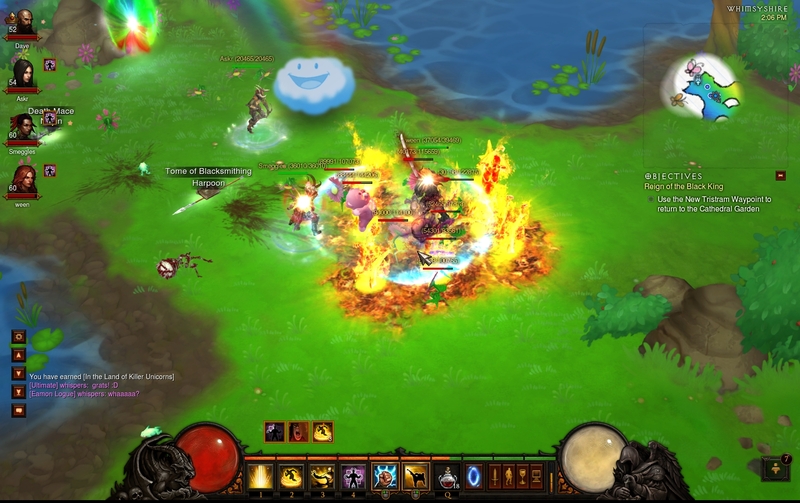 the not “cow level”) is one that was obviously done in reaction to fan’s bellyaching around Diablo 3 being too colourful when compared to its predecessor. This is the one place where the music is just plain wrong but that’s just part of the whole experience of this particular level. The story of Diablo 3 is definitely above the level I’ve come to expect from most AAA games that only have it as a side note to the main game of multiplayer but somewhat lacking in what I’ve come to expect from Blizzard. The Diablo world, and its current incarnation, is not short of lore and back story for nearly every main character and NPC that you come across. However, and this may be because of the character class I played or not, I never really felt any empathy for the characters apart from Deckard Cain (the only one who I can remember being in past Diablo games). I also never really felt any driving motivation for my character either, mostly because of the way he interacted with the main protagonists. Whilst a lot of the NPCs would show fear and doubt my character never showed a lick of hesitation when it came to talking down to prime evils or even supposed members of high society. After a while it started to sound more like bravado than anything else which was only compounded by the fact that many of the other characters acted somewhat irrationally towards him (like Azmodan saying at every turn that I would fail, even after I had completely decimated his army). The other classes might have been better but this combined with the lack of empathy for any of the characters meant that I didn’t really care that much for the story. I don’t hate it, I’m just indifferent to it. So it’s at this point in the review where I look back at the game and ask myself “well, was it fun?”. 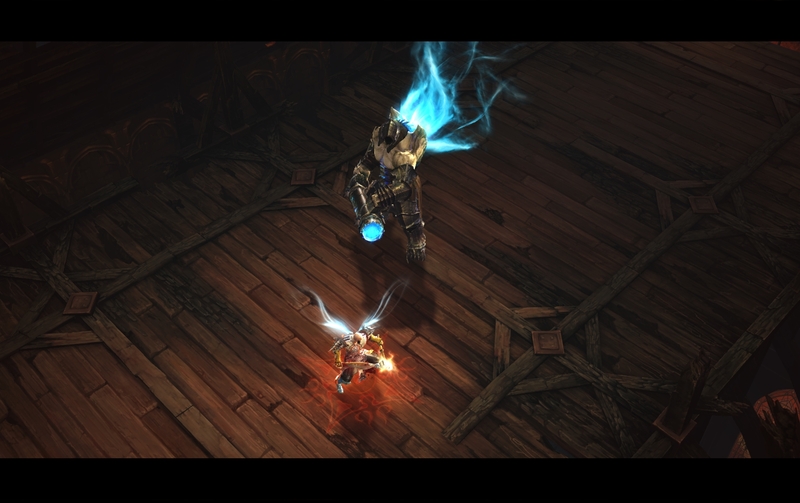 The beginning stages of Diablo are very enjoyable especially as you get your first rare drop or you completely kit yourself out in blues for the first time. It gets a whole lot better with friends too as the multiplayer experience has been streamlined and integrated perfectly. Still I couldn’t help that feeling I had in the back of my mind, one that I used to get when I was playing World of Warcraft at max level. Sometimes I feel compelled just to do things for the sake of doing them and towards the end as I was approaching 60 I started to wonder why I was doing it. Granted this was at the end of a probable 20 hour binge over the course of the last 4 days, so I was probably just burnt out on playing. 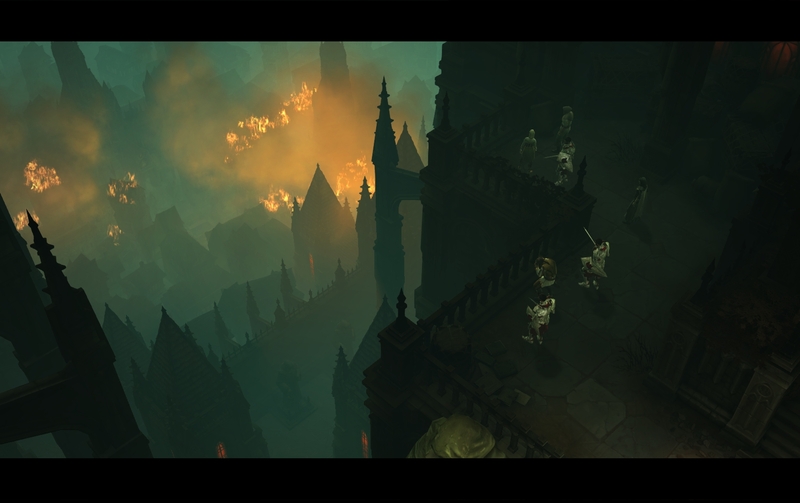 Diablo 3 feels like a game that was made for the fans. The settings and the gameplay instantly dredge up that nostalgia feeling whilst keeping the experience fresh and exciting. Whilst I don’t believe there’s nothing in this game for those who haven’t played before their experience won’t be the same as that of long time fans of the series. I’m not sure if I’ll roll another character but I’ll definitely be joining my friends when we set out to conquer Inferno mode. Diablo 3 is available on PC right now for $89.99. 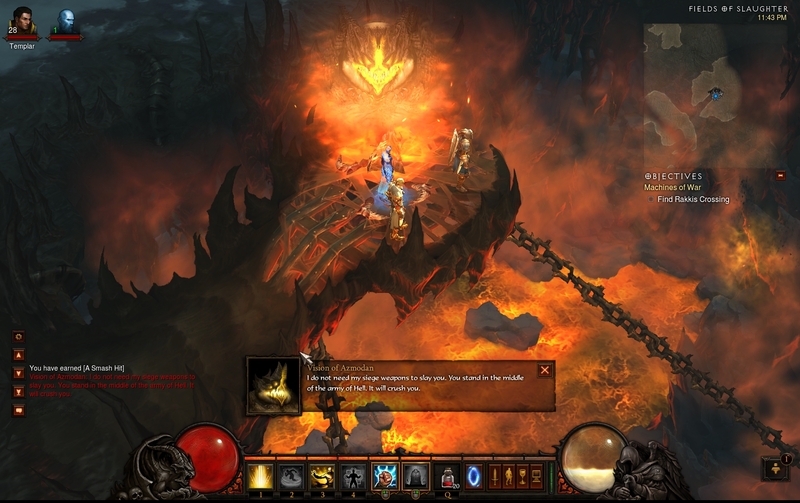 Game was played through the Normal, Nightmare and Hell difficulties with the Monk class reaching level 60 with around 32 hours of total play time.